Journalists are supposed to report the news, not be the news. Someone should’ve told that to Matthew Keys. 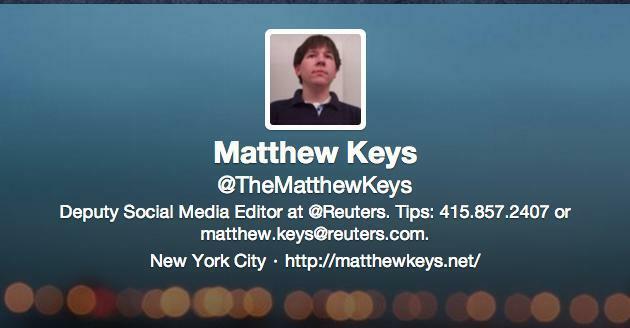 The deputy social media editor for Reuters was just indicted for conspiring with Anonymous to hack a Tribune website. According to the Department of Justice, Keys — who used to work at The Tribune Company — encouraged the contact to disrupt the site and even offered his login to access the company server. At 26, Keys may be young, but he’s not exactly an unknown on the webs. Last year, Time listed his personal Twitter account as one of its 140 Best Twitter Feeds of 2012. That was also the year when he joined Reuters’ social media department, in January. Of course, there’s another possibility: Keys’ motivations could have been personal. After all, the subject was his former employer, and who among us hasn’t fantasized about getting back at someone (or some company) who’s done us wrong? There has been a lot of talk and speculation surrounding this incident, which, at its core, really only amounted to a pretty innocuous and fairly lame-brained prank. For whatever reason — whether it was to gain news leads, get revenge, or let Keys indulge his hacker-worship and feel like one of the tech-savvy elite — the social media editor gave Anonymous his old Tribune login. 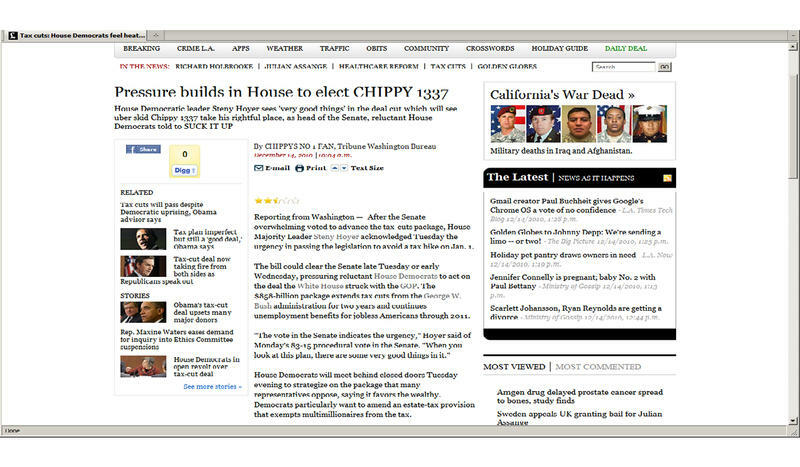 The result was a fake headline that survived all of half an hour before it got pulled down. Now is that worth 30 years in prison and a $750,000 fine? Well, Keys will have to consider this, since that’s what he might get for this stunt.